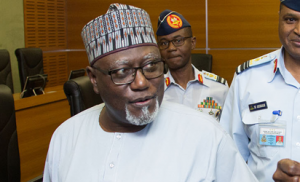 ABUJA- A coalition of 70 Civil Society Organizations, CSOs, has commended the Acting President, Prof. Yemi Osinbajo for sacking the Director General of the Department of State Service, DSS, Mr. Lawal Daura, even as they demanded his prosecution for abuse of public office. 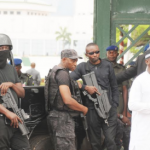 The CSOs, in a statement it issued in Abuja on Tuesday, berated the DSS and other security agencies for laying siege at the National Assembly and preventing lawmakers from gaining entry into the legislative complex on the strength of a purported “order from above”. 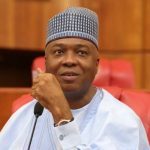 “It is our concern that today’s barricade of the National Assembly represents a series of undemocratic actions by the executive arm of government that poses major questions about Nigeria’s practice of democracy. This falls into a growing list of deliberate attempt to undermine the constitutional order by this government. 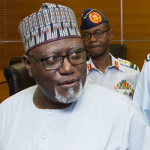 “We note with appreciation the decisive step taken by the Acting President to sack the DG DSS. While we commend this action, we see an urgent need for the Acting President Yemi Osibanjo to direct all security agencies in Nigeria to pull back and remain permanently out of the premises of the National Assembly”. 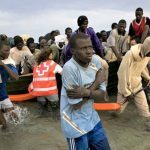 The coalition which is under the aegis of Nigeria Civil Society Situation Room, said it noted with serious concern, growing attack on constitutionalism in Nigeria and brazen acts of impunity by elected officials. It said: “In the last one month, a magistrate court was sacked, disobedience of court orders was justified by the Attorney General and there are growing cases of high handedness by security officials. “These events point to a despotic democracy and a gradual decline of the Nigeria state to Anarchy. 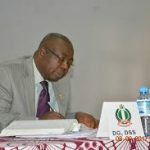 “The Nigeria Civil Society Situation Room (Situation Room) condemns as despicable and a serious threat to Nigeria’s Democracy, the actions of the Department of State Security (DSS), Nigeria Police and security forces, in barricading the gates of the National Assembly and preventing the functioning of an independent arm of government. “These actions are unconstitutional and negate Nigeria’s democratic development putting almost 20 years of Nigeria’s Fourth Republic in great crisis and danger. “Nigeria’s Constitution and laws and the National Assembly Rules define clear procedures for removal of presiding officers. Seeking to forcibly and violently interfere with the leadership of the National Assembly, points to dictatorship. “Civil Society and Non-governmental Organisations (NGOs) fought very hard against the military dictatorship that seized Nigeria in December, 1983 in a coup led by General Muhamadu Buhari and enthroned democracy in 1999. 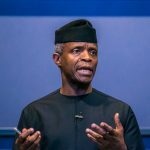 “Situation Room will also be seeking a meeting with the Acting President, Prof. Yemi Osibanjo to demand assurances that security forces will respect the institutions of democracy and claw back from the atmosphere of fear and dictatorship that has now entered our democratic space”, further read the statement signed by the Executive Director, Policy and Legal Advocacy Centre, PLAC, Mr. Clement Nwankwo. Aside PLAC, other CSOs that endorsed the statement were CLEEN Foundation, ActionAid Nigeria, Centre for Democracy and Development (CDD), Proactive Gender Initiative (PGI), Enough is Enough Nigeria, Centre for Citizens with Disabilities (CCD), WANGONET, Partners for Electoral Reform , JDPC and Youth Initiative for Advocacy, Growth and Advancement (YIAGA). Others were Development Dynamics, Stakeholders Democracy Network, Human Rights Monitor, Election Monitor, Reclaim Naija, Institute for Human Rights and Humanitarian Law, CITAD, Alliance for Credible Elections (ACE), CISLAC, EdoCSOs, CONGOs Edo State.